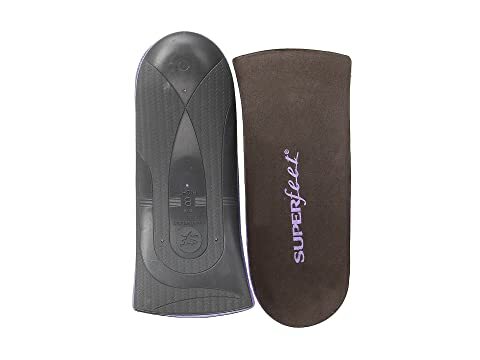 A fashionable and flawless look can be pain free when you slip this Superfeet® high heel insole in your favorite pair of pumps. Heel cup positions the foot's soft tissue to help absorb impacting shock. Biomechanical shape can help reduce stress on the feet, ankles, and knees. Clarino™ microsuede plush top layer provides lasting comfort. Long-lasting odor-controlling technology promotes a fresher in-shoe feel.